It's unlike anything else. 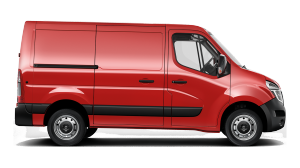 From the instant power you get at take off to the intense and amazingly quiet performance you get on the move - all that, and no petrol or tailpipe emissions. It makes your everyday drive extraordinary. How about driving with just one pedal? It's so simple! 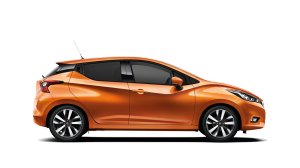 With the Nissan e-Pedal, you can accelerate, decelerate and brake with a single, seamless movement. Just release the accelerator for automatic regenerative braking and depress for acceleration based on your current speed. 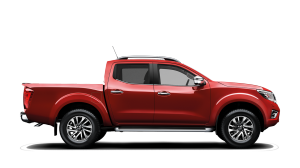 It's great fun and gives you much better command uphill, downhill and on winding roads. 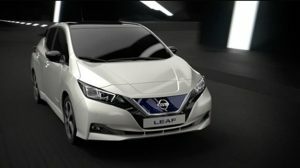 Every twist and turn is fun in the New Nissan LEAF. The floor-mounted battery pack creates a low centre of gravity that helps it corner with minimal body roll, giving you a great ride and super-smooth handling. Get assistance whenever you need it. See and sense more around you. Free up your mind and enjoy the pure thrill of being on the road. Having a little magic behind the scenes helps you drive with more finesse and a new level of confidence. 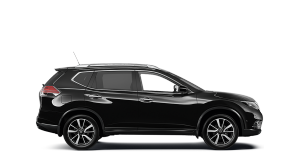 Nissan ProPILOT makes everything easier, from dealing with traffic jams to keeping your distance on the motorway. It steps in to do all the hard work so that you can just relax and enjoy your ride. Your parking nightmares are over! No hands, no feet, no more neck twisting. 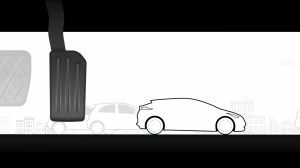 With Nissan ProPILOT park, your Nissan LEAF will park itself. And it's very good at it too. To support you in traffic and on busy streets, Intelligent Emergency Braking continously monitors your speed and distance from the car in front. 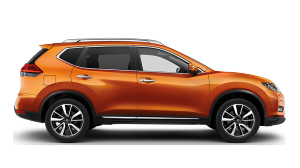 It will let you know if you need to slow down and will even apply the brakes to help avoid a collision, minimize an impact or if it detects a pedestrian about to cross. Stay on track. Intelligent Lane Intervention taps the brakes to help gently guide you back into lane if it detects that you’re unintentionally strayed for too long. High Beam Assist helps out with night vision without blinding your fellow drivers. 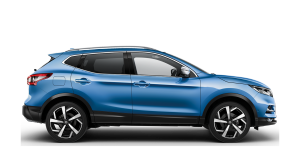 It automatically turns on the high beam headlights when you need them, and switches to low beam when it detects a vehicle ahead. 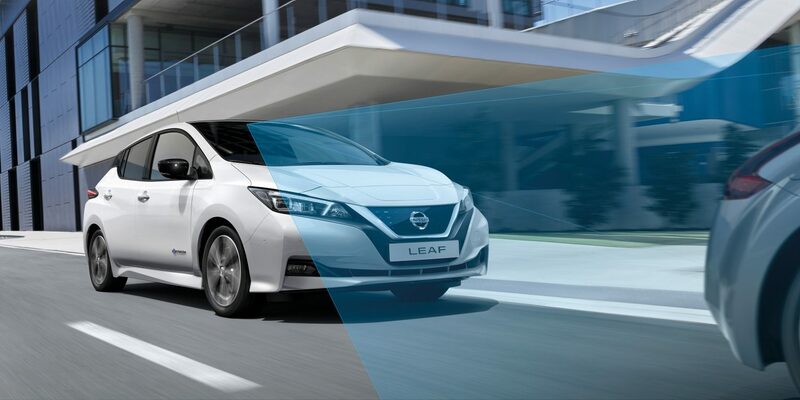 With four cameras giving you a virtual 360˚ bird’s-eye view of your New Nissan LEAF, plus selectable split-screen close-ups of the front, rear and kerbside, tight manoeuvres are a synch. And if there are any moving objects close by, you'll get a warning on screen too. Change lanes with confidence. 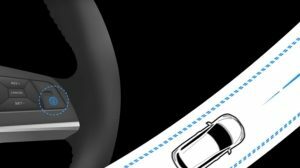 Blind Spot Warning keeps an eye on the blind spot area and warns you if it detects a vehicle hiding there. Hug the curves with handling that feels effortless. 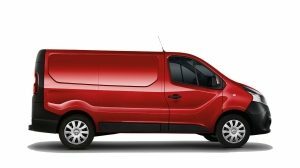 Intelligent Trace Control reads the situation and, if needed, can brake each wheel individually to help you steer smoothly through the corners. 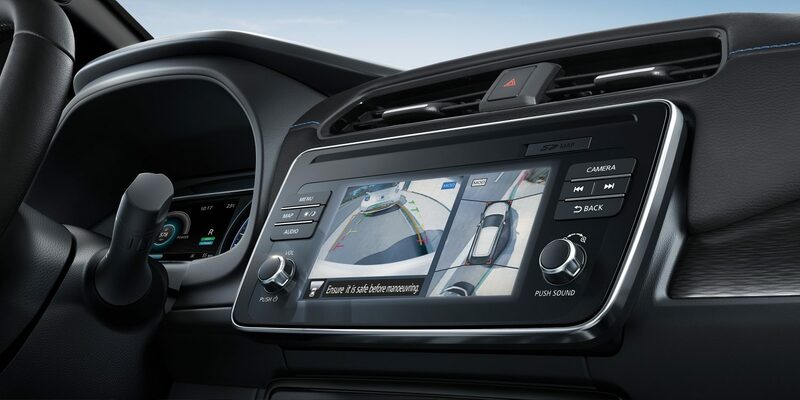 Intelligent Ride Control can actually smooth out the bumps for you. 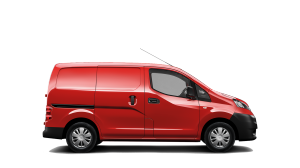 As soon as you hit one, the system automatically applies the brakes and adjusts engine torque to reduce pitch and roll inside the cabin. 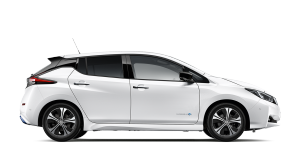 Your New Nissan LEAF is set to power not just your drive, but your home and community too. 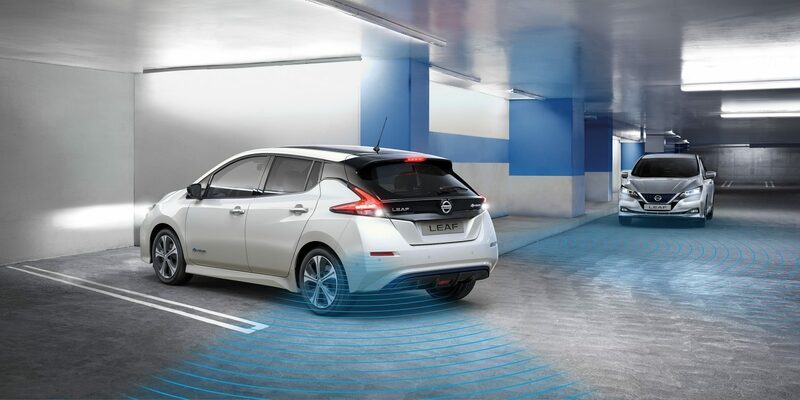 Thanks to NissanConnect telematics, we're making sure you're connected for a sustainable future. At Nissan, we're constantly developing electric mobility solutions to shape smart cities and create a better world. 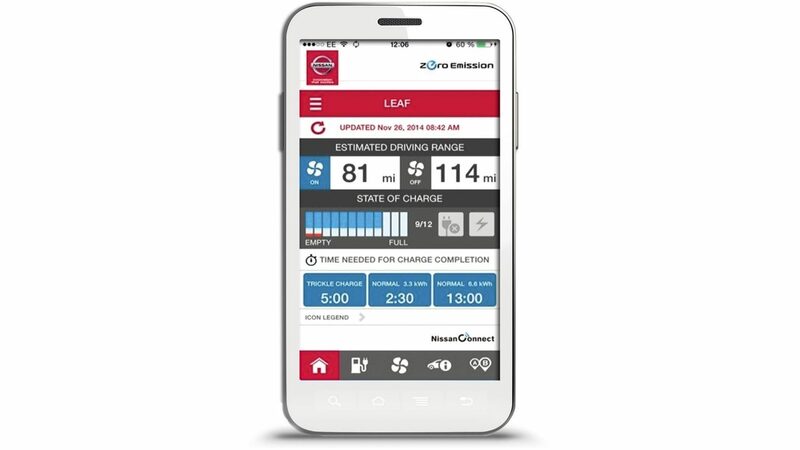 Pre-warm or cool your New Nissan LEAF, check your charge and know your range: it's all possible with the NissanConnect EV App. 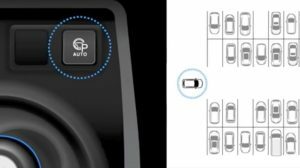 Set the cabin to the perfect temperature before you get in, get an alert when your LEAF is fully charged and keep constant tabs on your range and charge thanks to continuous updates directly on your 'phone.